"The beguiling fourteen-year-old narrator of In Zanesville is a late bloomer. Even in her small midwestern city, where modesty is prized and self-assertion is a faux pas, she flies under the radar - a sidekick, a third wheel, a marching band dropout, a disastrous babysitter, the kind of girl whose eureka moment is the discovery that "fudge" can't be said with an English accent. Luckily, she has a best friend, a similarly undiscovered girl with whom she shares the everyday adventures - sometimes harrowing, sometimes embarrassing - of a 1970s American girlhood, incidents through which a world is revealed, and character is forged. In time, their friendship is tested - by their families' claims on them, by a clique of popular girls who stumble upon them as if they were found objects, and by the first, startling, subversive intimations of womanhood. With dry, irrepressible wit and piercing observations, Jo Ann Beard shows us that in the seemingly quiet streets of America's innumerable Zanesvilles is a world of wonders, and that within the souls of the awkward and the overlooked often burns something radiant." "Jo Ann Beard is the author of a collection of autobiographical essays, The Boys of My Youth. 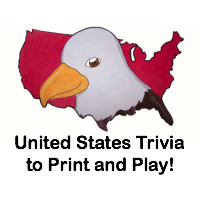 Her work has appeared in The New Yorker, Tin House, Best American Essays, and other magazines and anthologies. She received a Whiting Foundation Award and nonfiction fellowships from the John Simon Guggenheim Foundation and the New York Foundation for the Arts. She teaches nonfiction writing at Sarah Lawrence College and lives in Rhinebeck, New York." Cost: You can buy In Zanesville from Amazon.com for $12.76. Overall: We give In Zanesville a 9/10! 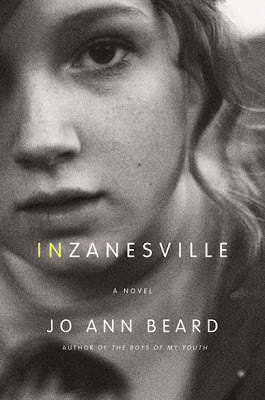 One lucky reader will win a copy of In Zanesville! We were sent copy of the book "In Zanesville" free of charge for the sole purpose of this review; no other compensation was received. All opinions expressed are my own. when i was a kid, we could be gone from dawn until dusk without our parents worrying....we fished, rode bikes, hung out and swam in the creek. those were the days! I subscribed to your email...please enter me in the giveaway. I was a big reader as a teen, and so is my 16 year old. So I'm sure, we'll be able to relate to this book. When I think of all the things we did as teens, I find myself shocked. Hitching rides with strangers, drinking, smoking various kinds of 'plants', etc. We could have been murdered or killed. It is incredible how stupid teens can be. I would be a camp counselor for quite a few years. I loved working with all the kids there. Summer was the best when i was a kid! We swam, rode bikes, went to friends houses, had sleepovers,and just had a great time!! Good stuff! I loved helping my grandmother work in the garden. The biggest treat for me was to eat the peas straight out of the pod and right off the plant. Summer was a time for Red Light Green Light, Kick the Can and pickup baseball. Riding bikes all over town which had a basket or some way to carry things and finding fool's gold in the rock quarry one street over, hiking in the woods across the street, catching lightning bugs in Tupperware that we poked holes in and ruined according to Mom. Spent a lot of time in the summers at the city pool.... I can still smell the coconut oil! We had a pool at home, but the city pool had BOYS! I read a lot during the summer!